This is a white paper describing the DAMA-DMBOK Functional Framework and is available here free of charge (see link at bottom of page). This Framework is a concise overview (13pgs) outlining the ten data management functions – each function is covered in a chapter of the full DAMA-DMBOK Guide (430 pgs). Version 3 of this Framework paper is available in English, French and Japanese– Version 2.1 of the paper is available in Chinese, Spanish , with Version 3 expected to be available in more languages soon. The full DAMA Guide to the Data Management Body of Knowledge (DAMA-DMBOK Guide) has been developed under the guidance of the DAMA-DMBOK Editorial Board. This publication was published April 5th 2009 through the publisher www.TechnicsPub.com/books.htm. The “body of knowledge” about data management is quite large and constantly growing. 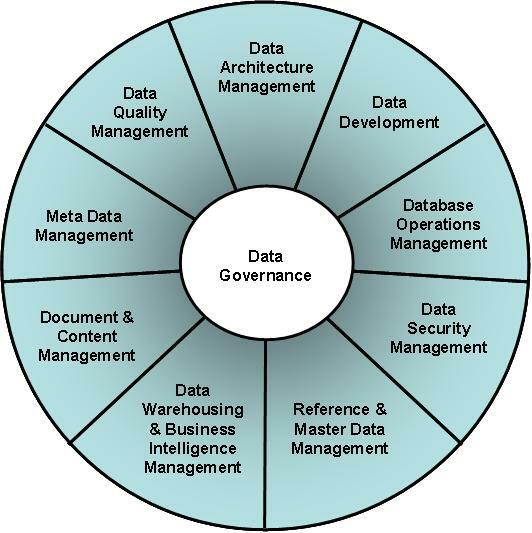 The DAMA-DMBOK Guide will provide a “definitive introduction” to data management. It defines a standard industry view of data management functions, terminology and best practices, without detailing specific methods and techniques. The DAMA-DMBOK is not a complete authority on any specific topic, but points readers to widely recognized publications, articles and websites for further reading.